(Newser) – It looks like the US is poised to ditch the Paris climate accord, though there seems to be much up in the air about the particulars. 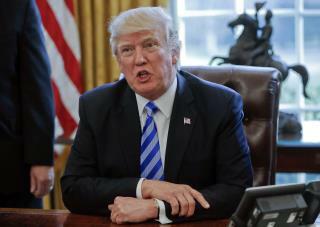 Axios, for example, reports that President Trump has decided to withdraw, but adds that his team has yet to work out "whether to initiate a full, formal withdrawal—which could take 3 years—or exit the underlying United Nations climate change treaty, which would be faster but more extreme." The AP, meanwhile, says that while Trump is expected to withdraw, the wording may have "caveats" that leave open the possibility the decision won't be a final one. The White House has not made any official announcement. In a tweet Wednesday, Trump himself says the final decision is yet to come: "I will be announcing my decision on the Paris Accord over the next few days." In 2009 Mr. Trump signed and sent a letter to Washington DC stating: “As business leaders we are optimistic … [about the climate talks in] Copenhagen with emissions targets,” …“We support your effort to ensure meaningful and effective measures to control climate change, an immediate challenge facing the United States and the world today,” …“Please allow us, the United States of America, to serve in modeling the change necessary to protect humanity and our planet.”, further stating that demand for clean energy “will spur economic growth” and “create new energy jobs.” As a Man of his Word Trump Should Sign The Climate Accord Because He Said He Would.